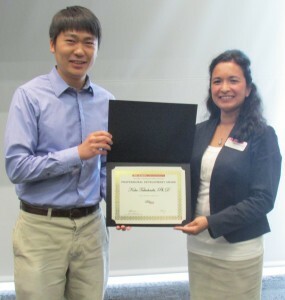 The Professional Development Awards for Postdocs (PDAP) were established in Fall 2013. 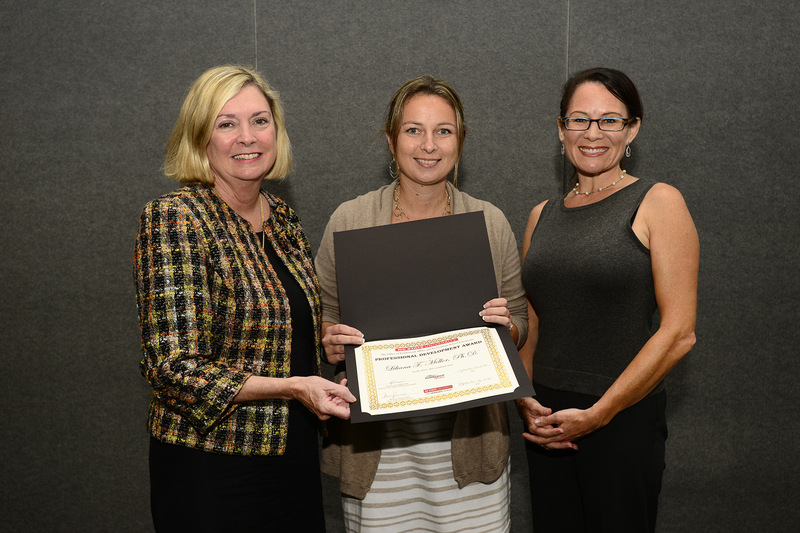 The awards are designed to assist postdoctoral scholars pursuing professional development or training opportunities and help them reach their professional and/or career goals. Awards can be up to $1,000 each. The 2018-2019 award application is now open! Please see the application requirements for more information. Congratulations to the following postdoctoral scholars who are the recipients of the 2017-2018 Professional Development Award for Postdocs! In 2016-2017, 14 postdocs applied and 7 postdocs were awarded. Recipients were notified in September 2016. In 2015-2016, 16 postdocs applied and 6 postdocs were awarded. Recipients were notified in September 2015. Dr. Lentz used the professional development award to improve his teaching ability, specifically in the area of Universal Design for Learning (UDL). Dr. Lentz enrolled in two online teacher training courses through the CAST professional learning organization which focused on how to design a course with learning variability in mind, and how to tailor that message for the science classroom. Drawing form what he learned in these courses, Dr. Lentz has already transformed his lesson plans for the Biotechnology (BIT) 100 course he teaches at NC State. In October 2015, Dr. Mochizuki presented his research on the management of animal cancers using a molecular biology approach at the Veterinary Cancer Society (VCS) annual conference. The VCS annual conference is the largest veterinary oncology meeting in the world, with the purpose of improving standards of care in the management of veterinary patients with cancer. Dr. Mochizuki’s presentation was regarding development of a new molecular diagnostic test for early detection of canine bladder/prostate cancer, which is usually detected in advanced stage and carries poor prognosis due to the lack of reliable diagnostic tests. Dr. Monsur used the professional development award to fund his research on the effects of outdoor classrooms on children’s STEM learning behavior. Dr. Monsur conducted a randomized controlled trial to examine the effects of an outdoor classroom intervention on three STEM learning behaviors of preschool-aged children. Funds were used to buy STEM tools for the experiments and create modifications for the outdoor classroom. Dr. Monsur presented his research at the 2016 Environmental Design Research Association (EDRA) conference, as well as at the Postdoc Research Symposium at NC State. Dr. Jonathan Mueller used the professional development award to attend the American Association of Physics Teachers (AAPT) Winter Meeting. At the conference, he learned about how to develop engaging question formats to probe student learning, and how to successfully utilize a flipped classroom format. Furthermore, he learned new techniques for laboratory demos and research-based learning assessments. The conference solidified his career interest in becoming a faculty member in physics. Dr. Shao attended the 2015 American Institute of Chemical Engineers (AIChE) annual conference, where he gave two oral talks, one poster presentation, and networked with colleagues from universities across the US. 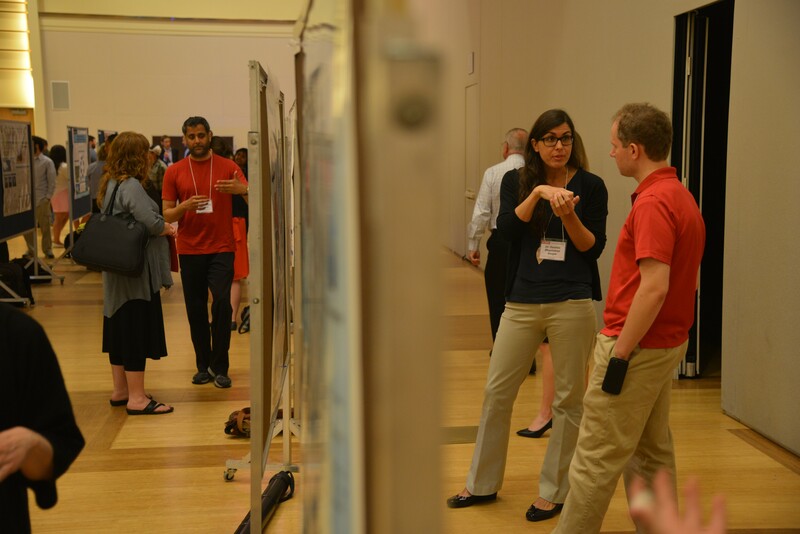 He also presented his poster as the 2016 Postdoctoral Research Symposium. Dr. Stevenson presented her research in environmental education and policy at the North American Association of Environmental Education in San Diego, CA. 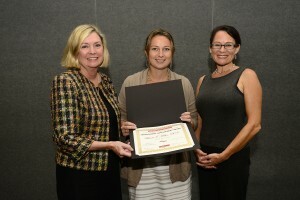 Through her participation in the conference, Dr. Stevenson created opportunities to take her research team to the Conservation Psychology Institution at Anitoch University, fostered a mentor relationship with a premier research in the field, developed professional development workshops, and reconnect with professionals across the country. In 2014-2015, 23 postdocs applied and 5 postdocs were awarded. 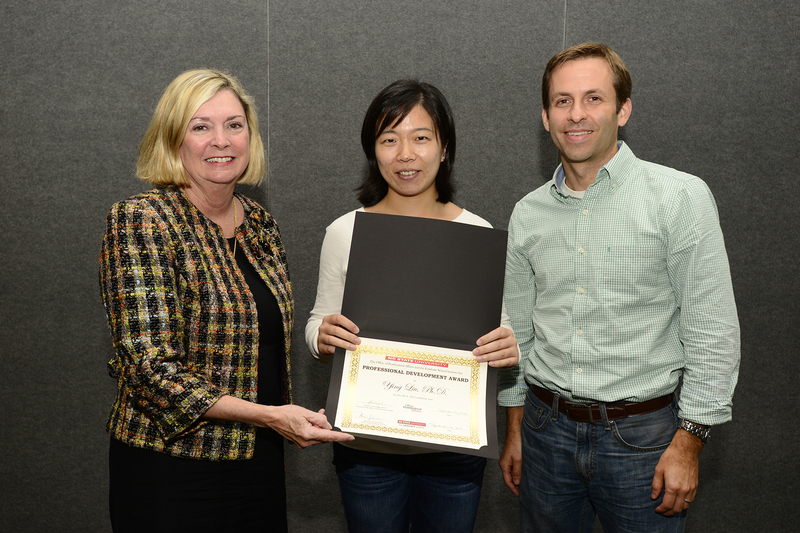 The awards were presented on September 25, 2014 in the Hunt Library as part of National Postdoctoral Appreciation Week. 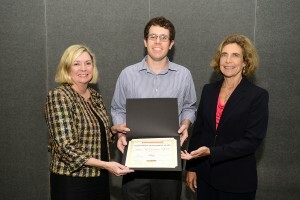 Dr. Cummins used the Professional Development Award for Postdocs (PDAP) to implement the coaching support and resources of the Udacity “How to Build a Startup” course by developing a smart phone application to incentivize people with Type 1 Diabetes to test themselves more frequently throughout the day, and then receive user feedback. 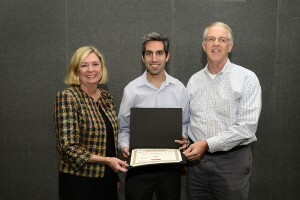 Dr. Cummins also participated in the 4th Annual Postdoctoral Research Symposium, where he won 1st place for his research poster presentation. 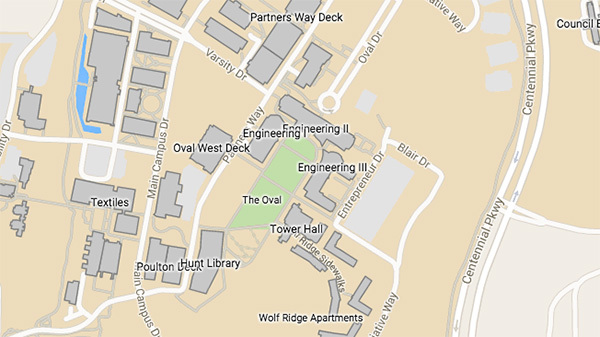 Dr. Fritz organized and hosted a Software Carpentry’s “A Programming Boot Camp for Biologists” event on January 29 and 30, 2015 in the Hunt Library. The event was a training opportunity for postdocs, graduate students, faculty, and research staff. 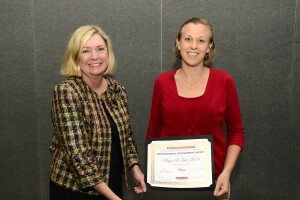 Dr. Fritz also participated in the 4th Annual Postdoctoral Research Symposium, where she won 2nd place for her research poster presentation. 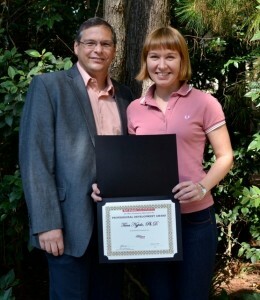 With the funding available from the PDAP, Dr. Goller hired an undergraduate student to help develop a new course, “Yeast Metabolic Engineering” in Spring 2015 for 7 undergraduate and graduate students. The course will be offered again in Fall 2015 for 18 undergraduate and graduate students. Dr. Goller co-authored a manuscript on the new course he developed that was recently accepted to Journal of Young Investigators . Dr. Liu attended several workshops at the 2014 American Institute of Chemical Engineers’ conference in Atlanta, GA, including: the “Women Graduate Students and Postdoctoral Fellows in Chemical Engineering: Developing your Career” workshop by the AIChE’s Women’s Initiatives Committee, the “Looking for an Academic Job – The Process and the Package” workshop by the AIChE’s Women’s Initiatives Committee, and a luncheon with keynote speaker, Dr. Jennifer Sinclair Curtis on career development. Dr. Mellor delivered a podium presentation, “Changes in Articular Cartilage Associated with Reduced Gravity May Contribute to Subchondral Bone Loss”, at the 2014 American Society for Gravitational and Space Research in Pasadena, CA. During March 2015, she led an outreach activity at Swift Creek Elementary School in Raleigh, NC to thirty fifth graders using “Genes in a Bottle” kits. In 2013-2014, 37 postdocs applied and 4 postdocs were awarded. 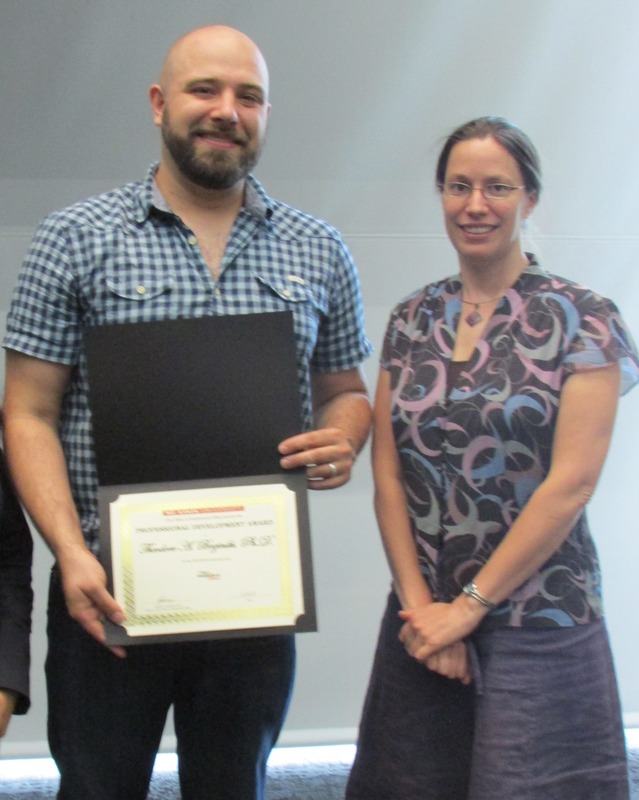 The awards were presented on September 20, 2014 in the Hunt Library as part of National Postdoctoral Appreciation Week. Dr. Brzinski designed and developed a new laboratory module and lab report for an undergraduate Physics course to measure entropy with respect to temperature. 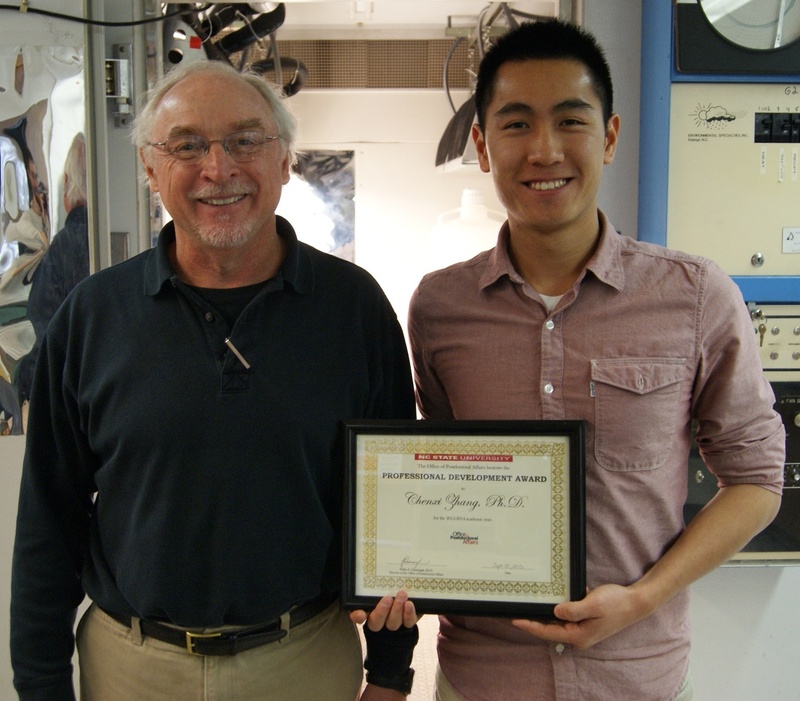 He gained valuable teaching experience through instructing approximately 30 students on the lab module. Dr. Takahaski presented a tutorial lecture, “From body to joints to muscles: an integrative multi-scale assessment of ankle and foot function in human locomotion”, at the 2014 Gait & Clinical Movement Analysis Society Annual Conference at the University of Delaware. At the 7th World Congress for Biomechanics in Boston in July 2014, Dr. Takahaski presented a poster titled, “A user-controlled powered ankle exoskeleton to drive gait modifications post-stroke”. Dr. Zhang presented a poster, “Evaluation of Ammonia Volatilization from Stabilized Urea Sources via Continuous Measurement”, at the 2013 American Society of Agronomy, Crop Science Society of America, & Soil Science Society of America International Annual Meeting in Tampa, FL. The following spring Dr. Zhang attended a workshop, “Statistical Methods for Genome-Enabled Prediction of Complex Traits” at the 26th Annual Conference on Applied Statistics in Agriculture at Kansas State University.